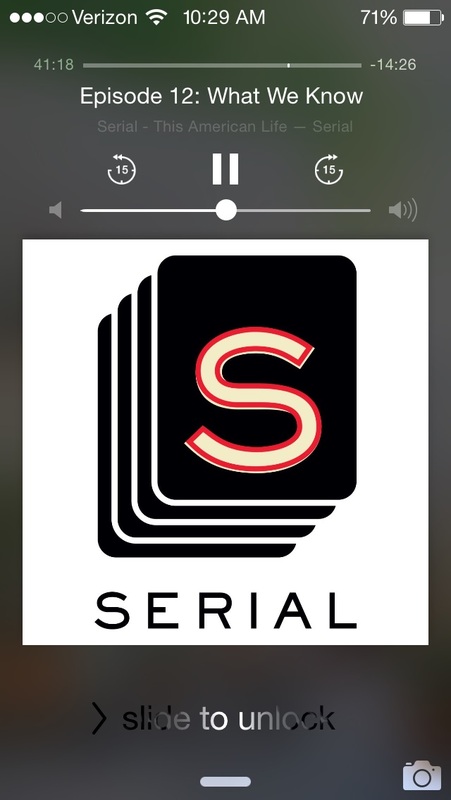 Serial is a podcast that took the pop culture world by storm this year. It has been an interesting experiment; both in its effect on the real-live people involved and the reactions and involvement of the people listening. If you are (somehow) unfamiliar with what Serial is, the podcast was a new addition to the NPR family and it was put together by “This American Life” producer Sarah Koenig. It was a week-by-week podcast chronicling the murder of a Baltimore-area teen back in 1999. Adnan Syed, the man put away for the murder, maintained his innocence not only throughout the whole trial, but throughout the entirety of this podcast. Serial doesn’t say outrightly that they are trying to prove Adnan did or didn’t do it but that is clearly what the podcast turned into. Each week evidence is presented and Koenig and her team go through it with a fine-toothed comb, looking for holes and contradictions. They find many and it made for a criminally addicting podcast experience (pun intended). But what fascinated me even MORE than the case itself, was Serial’s effect on the general public and also, what NPR was looking to do or accomplish with the podcast. Obviously they wanted it be successful, which happened, but what else, if anything, did they want to do? What did they hope would happen? I know Koenig wanted to tell a story, but as the podcast unfolded, it definitely seemed to me that she really wanted to solve this case somehow. I’m not saying she assumed she would, by a long shot, but that she definitely wanted to. Either for the podcast’s sake, Adnan’s sake, for her own curiosity’s sake – or for all 3 reasons. Because of this, I don’t feel that the podcast approached telling this story with the most unbiased way, which is generally how investigative reporting should be approached. She did have another driving factor – she had to make it enticing. She had to make people want to keep tuning in.